Ash Farr has also worked with Ford, Toyota, Land Rover and Google. Commonwealth//McCann, Chevrolet’s ad agency, appointed a new executive vice president who will lead global strategy for the Chevy account. Ash Farr, 44, will assume the position of executive vice president, global director of strategy and research, for the Detroit-based agency on Jan. 1. 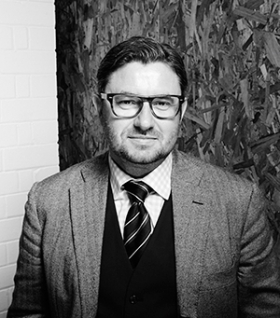 Farr, CEO of McCann Australia, has also worked with Ford, Toyota, Land Rover and Google. “His experience and perspective fit with our team’s focus as we continue to strengthen Chevrolet’s position as one of the world’s great brands,” Bill Kolb, CEO of Commonwealth//McCann, said in a statement. Commonwealth//McCann is behind Chevrolet’s ongoing focus group campaign featuring real people as they get surprised by bears, zombies and puppies, to name a few. The agency made waves this year with its “Blackout” Super Bowl commercial for Chevrolet, which momentarily fooled many into thinking something was wrong with their TVs just before the game kicked off.